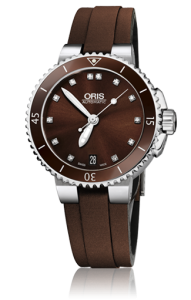 Lady Divers with diamond dial. 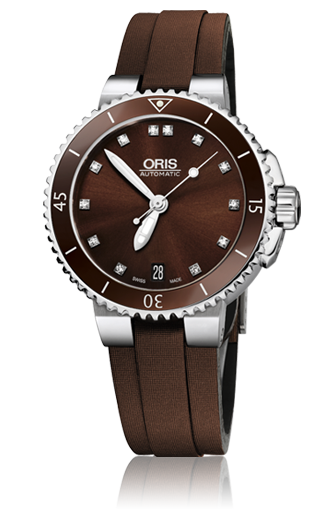 36mm, automatico, date, new brown color dial for 2013. Exhibition case back, available on a matching brown rubber strap.